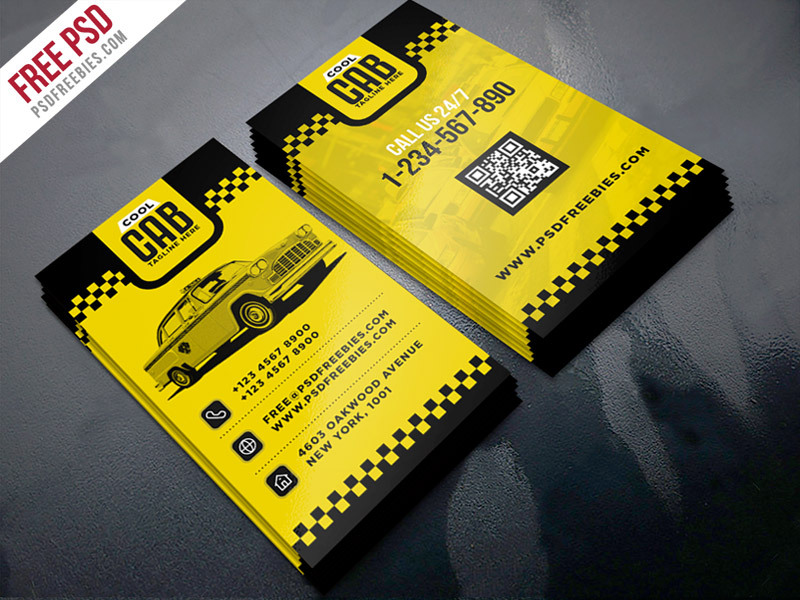 Download Free Taxi Cab Service Business Card Template PSD. This free taxi and cab service business card is perfect for any taxi or cab business, tour and travel, city transportation services and so on. This Taxi Cab Service Business Card Template PSD download contains 3.5×2inch, 300 dpi print-ready CMYK psd files (Front and Back). All main elements are editable and customizable. The psd file can be edited in Adobe Photoshop, and to be able to change the text. Hope you like it. Enjoy!